Which is more selfish: choosing to be a parent or choosing to live childfree? 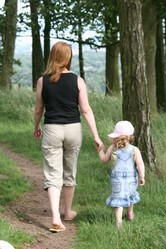 And what of those who have that choice taken away from them due to infertility? 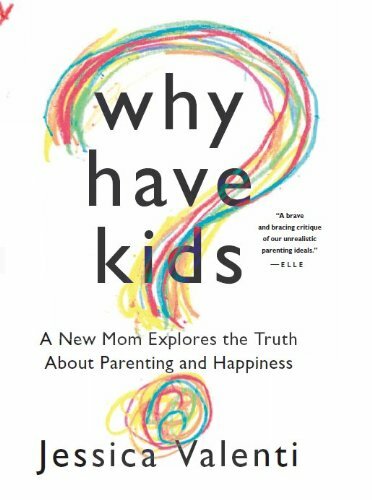 In conversations, editorials and articles about parenthood versus childfree- or childless-living, there's one accusation that I see repeatedly brought up: being selfish. The irony is that it's an accusation lobbed against each of these groups of people equally for different reasons: against parents, against people who chose to live childfree, and against the childless who are struggling to conceive. As a for instance: say a woman writes an article about the many reasons she has chosen a childfree life for herself and does not want to be a parent. In the comments on the article, that women will repeatedly, without fail, be accused of being "selfish" by some parents reading her piece. They will comment on her being "self-centered" and unwilling to give up her "carefree" lifestyle and make the necessary personal sacrifices in order to raise a child. Because, you see, these people feel that being a parent is the most "selfless" act a person can commit in life: giving up any and all other aspirations, financial goals, personal wishes, what-have-you for the benefit of raising their child. 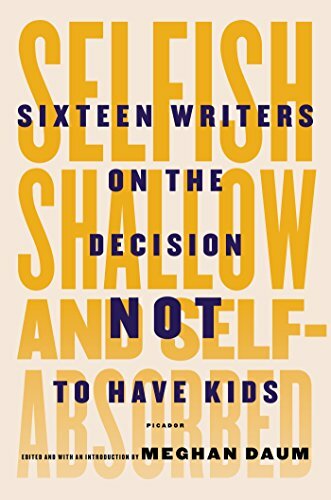 A childfree person, in their minds, is a person who is "too selfish" to want to make any sacrifices for the benefit of her (theoretical) child, a non-existent baby who apparently matters far more to the world than that woman on her own ever could. Even Pope Francis has gotten into the act recently, declaring that "The choice to not have children is selfish. Life rejuvenates and acquires energy when it multiplies: It is enriched, not impoverished." (Source) His statements have only fueled the fire of this debate more than ever, once again putting parents and non-parents against each other over this already hot-button topic. "I don't want to be alone when I die." "I need to carry on the family name." "Even though I have several boys, I really want a girl so I'm going to keep having babies until I do." "I don't want my one child to grow up an only child." "My partner and I have such great genes, we know our genetic child will be a genius!" Isn't it better for the world at large and unselfish if someone realizes he or she simply wouldn't make a good parent, and thereby chooses not to procreate? Perhaps they know any child born of themselves could be at high risk for genetically-linked illnesses. Perhaps they know they could not provide a financially and/or emotionally stable environment for a child. Perhaps they simply know they don't have the mindset necessary to nurture and raise children. How is that "selfish" of anyone to recognize these things about oneself and choose not to be a bad parent? 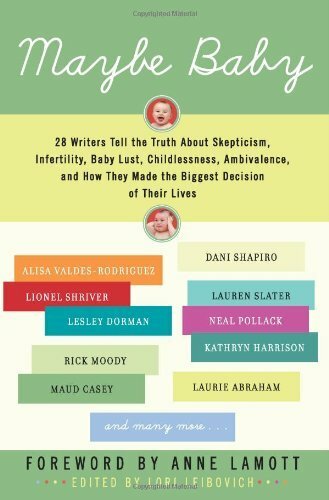 Do you believe it is selfish to choose to live childfree? Do you believe it is selfish to chose to have children? Now let's add the couple or individual struggling with infertility to the equation. If an infertile woman writes about her emotional struggles, choosing to have invasive, expensive and uncertain fertility treatment or not, or coping with failed treatment efforts, she will be doubly accused of being selfish! After all, she should "just adopt" if she is so desperate to be a parent, right? (But why aren't those without fertility problems told this same thing when they talk about wanting children?) She probably did something in the past like put her career before family and thereby wait too long to have children, or maybe had an abortion or was exposed to an STD that made her infertile. It's all HER fault, according to some. To put her own time, money and emotions on the line to seek treatment to become pregnant and have a child? Well, that's just selfish to an extreme, isn't it? Do you believe it is selfish to pursue infertility treatments instead of adoption, or accepting a childless life? How about this. How about we all admit that, deep down, we are, none of us, perfect, selfless saints. 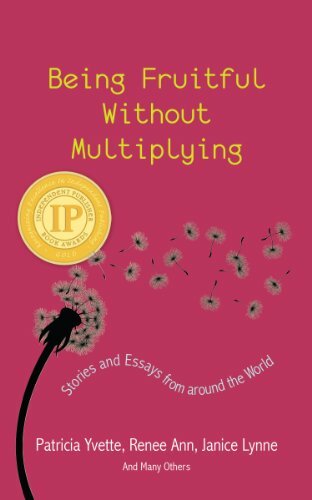 We all have and feel certain selfish drives, whether that may be to remain free of the burden of raising children in order to freely travel, commit to a rewarding career, or leave a legacy to the world in the form of art, science or writing instead. We might be selfish in wanting to express our deep love for someone by having a biological child with that person. We might be selfish in wanting to at least consider and try fertility treatments before looking into the often equally challenging, emotional and expensive process of adoption. 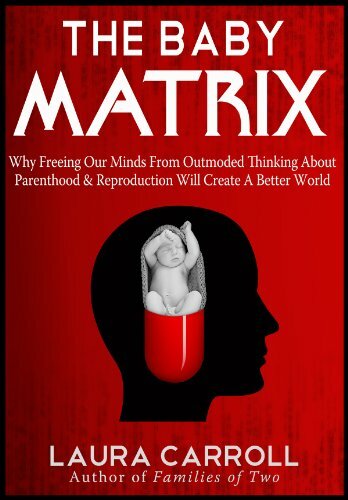 If we can learn to all talk to each other - parents, the childfree, the childless - without making snap judgements on each others' personal morals and choices regarding reproduction? Then maybe we could all find more common ground and understanding. Maybe we could have some real conversations about adoption reform, the special needs of parents, and also the stigma in many societies against those who cannot or choose not to have children. 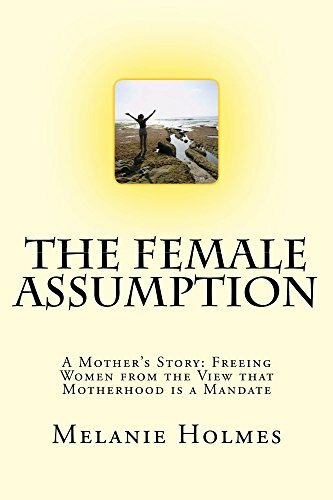 Author Sue Fagalde Lick discusses a rarely talked about group of childless individuals: those who wanted children but their partners don't.